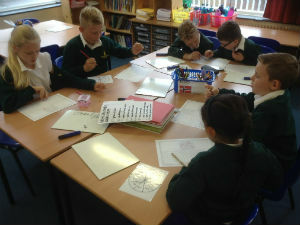 At Rush Common, teachers believe all pupils to be capable of achieving high standards in Maths. The School’s Calculation Policy, which explains how we teach calculation in Maths and the progression throughout the school, underpins our teaching and is attached below. It is reviewed and monitored regularly to ensure the high standards of the new national curriculum are embedded into our curriculum. 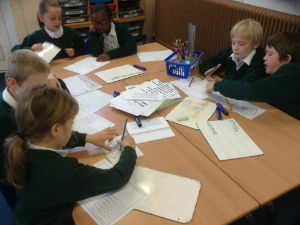 The aim being, that the majority of pupils will achieve mastery of the Maths objectives and the recall and fluency of key facts for their year group by the end of Term Six. However, children learn at different rates and those who may, at times, need extra help will be identified and supported in order to achieve their potential. 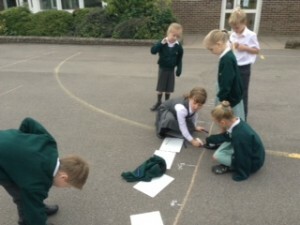 The children are given opportunities to develop their fluency, confidence, mathematical reasoning and resilience by using and applying their mathematical knowledge within a range of rich Maths tasks and across the curriculum. 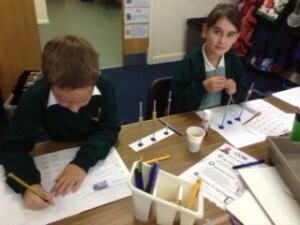 Opportunities for enrichment and engagement include: a whole school Number Bond and Times Table challenge; The Primary Maths Challenge; research projects with Oxford University; the use of apps and technology to engage and motivate as well as differentiated challenge levels (Chilli Challenges) in Maths lessons. 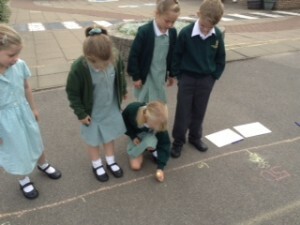 As well as using pencil and paper methods to develop Maths skills, children are also given the opportunity to use online tools such as RM Easimaths. 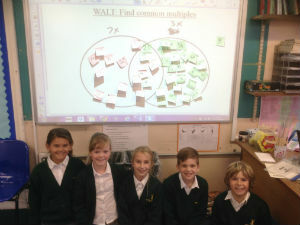 The video below shows how RM Easimaths is used in Rush Common School.